This is a 5m BNC/BNC 20 AWG solid simplex DS3 coaxial cable. 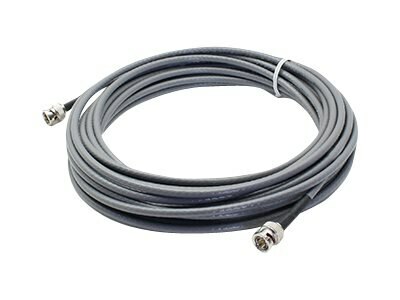 This simplex cable is made with a PVC jacket, and comes with 1 x BNC male type connectors on each end. These DS3 Type 734A interconnect cables are 75 Ohm coaxial cables, which are generally used for the transmission of video signals. DS3 cables are ultra high-speed connections. DS3 Type 734A is generally used for interconnects up to 450ft. Our cables are 100% compliant for all of your networking needs. Each cable is 100% tested before you take ownership. Now you have a cost effective solution to your network upgrade needs.